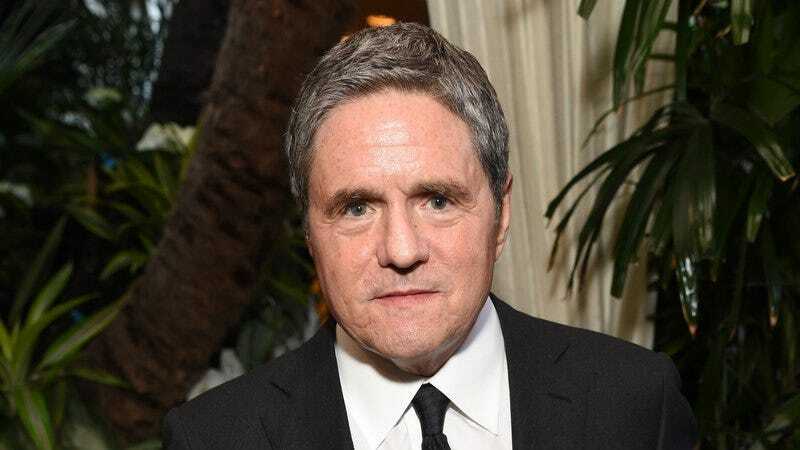 Brad Grey, the celebrated manager and producer turned film executive who recently ended a 12-year tenure as chairman and CEO of Paramount Pictures, has died. Grey, who retired from Paramount mere months ago, died of cancer at home in Holmby Hills, California, according to Deadline. He was 59. Born in the Bronx in December 1957, Grey began his career while he was a student at the University of Buffalo. He worked as an assistant to Harvey Weinstein during the latter’s early days as a concert promoter, before breaking out on his own as a manager of young New York-based stand-up comics. (Bob Saget was his first client.) In 1984, Grey convinced fellow talent manager Bernie Brillstein to make him a partner in his company; re-dubbed Brillstein-Grey Entertainment, the company went on to produce shows like Mr. Show, NewsRadio, Real Time With Bill Maher, and The Sopranos as well as films like The Cable Guy and The Wedding Singer. Now one of the top management companies in Hollywood, its clients include Brad Pitt, Amy Adams, Rob Lowe, Zach Galifinakis, Adam Sandler, Jim Gaffigan, Jason Sudeikis, and more. Not all of Grey’s client relationships were without their problems, as evidenced by his famous feud with comedian Garry Shandling. Brillstein-Grey produced both It’s Garry Shandling’s Show and The Larry Sanders Show, and the two had maintained a more than decade-long friendship and working relationship before Sanders sued Grey for $100 million in 1998. Among Shandling’s complaints were charges that Grey had double-dipped by paying himself as both his manager and as producer of The Larry Sanders Show, poached writers from Shandling’s show for his other TV projects, and used Shandling’s name to broker TV deals without sharing the profits. Grey countersued, and the feud was eventually resolved out of court. Grey won two Emmys, three Golden Globes, two PGA Awards, and two Peabodys for his work on The Sopranos, and two more Peabodys for The Larry Sanders Show. He is survived by his wife Cassandra Grey and son Jules, as well as three adult children from a previous marriage.